Alright. Let’s get one thing straight. Scarlet Witch and Quicksilver are Magneto’s kids. Rick Remender, Joss Whedon, and Joe Quesada can say nothing to convince me otherwise! 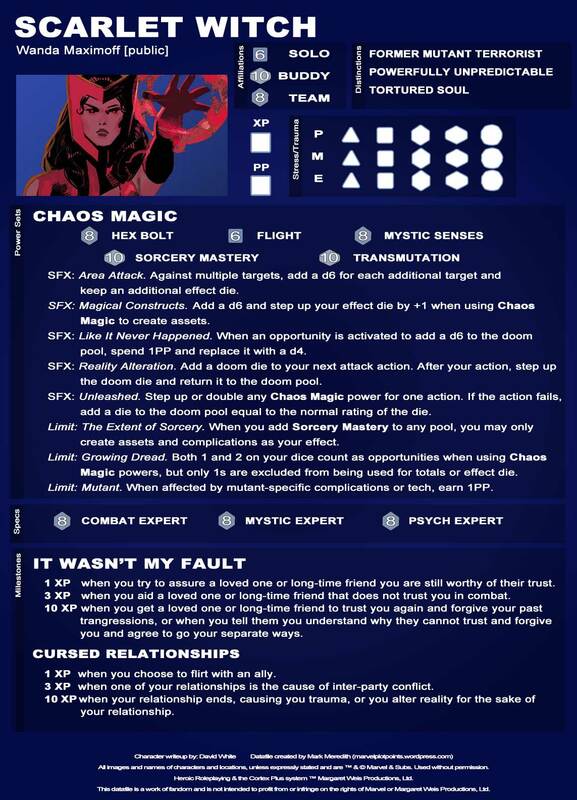 Of all the things that came with the Marvel NOW 2015 initiative, none has sat worse with me than changing the Maximoff’s parentage. I can understand why they changed it – because of the licensing debacles with Fox Studios – but I don’t think it warranted changing years of canon to appease movie goers who may decide to read the comics. 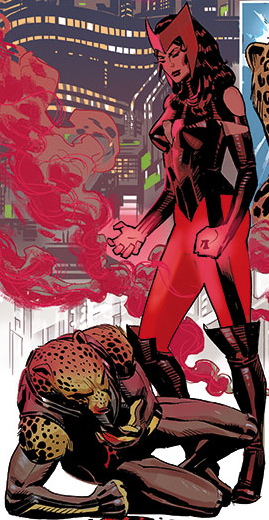 Regardless of what should or should not be, the matter of Scarlet Witch and Quicksilver’s parentage is…. vague. Whatever they are, with their recent introduction into the MCU in Avengers: Age of Ultron and push to the forefront of Marvel NOW 2015, Wanda and Petros have become more popular than ever before. Presented below are both the twins, fully powered and ready to rumble. May they bring plenty of “mutant” mayhem to your games! Oh geez! That sounds quite chaotic! 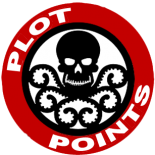 I hope it encourages some great roleplaying and in-character discussions at your table! 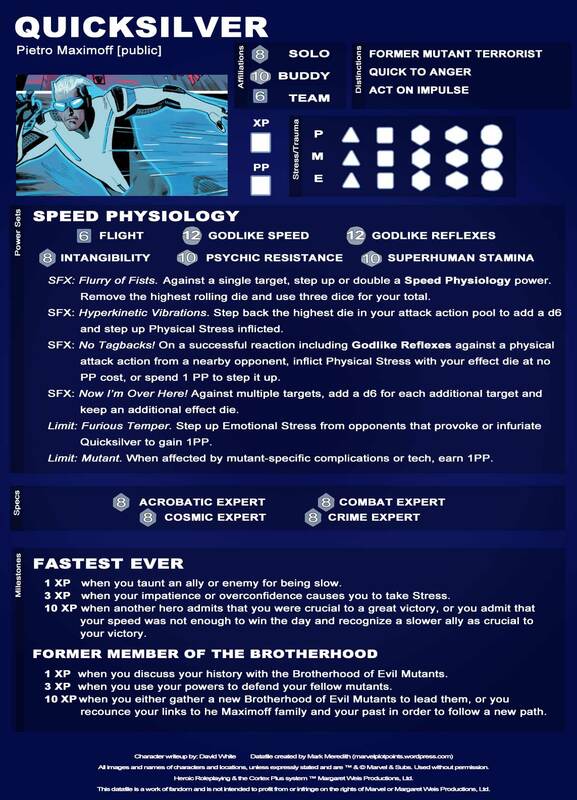 This entry was posted on June 4, 2015 by David W in Datafiles, Marvel NOW 2015.